I have visted The Deckhouse Crab Shack and BBQ twice now. The first time was just when they opened and it was really busy with lots of people waiting for tables. The second time was still busy but you could probably get a table if you walked in. However I would probably still recommend booking. My first visit was on a Wednesday night which is their live music night and was fairly horrid. I actually really don’t like live music in restaurants as I always find it too loud and really struggle to tune it out. And to make matters worse our table was right next to the speaker. So while the quite noisy musicians were playing we spend a lot of time shouting at each other across the table. I would recommend going on any night other than Wednesday if you’re looking at having a more intimate dinner where conversation is possible. I have heard quite a few people say that the Crab Shack is expensive but I don’t think that is fair. There are a few more expensive items, in particular those involving crabs, prawns, crayfish and served in buckets. But seafood is pretty pricey stuff! There are a few affordable and even good value items on the menu to suit a tighter budget. 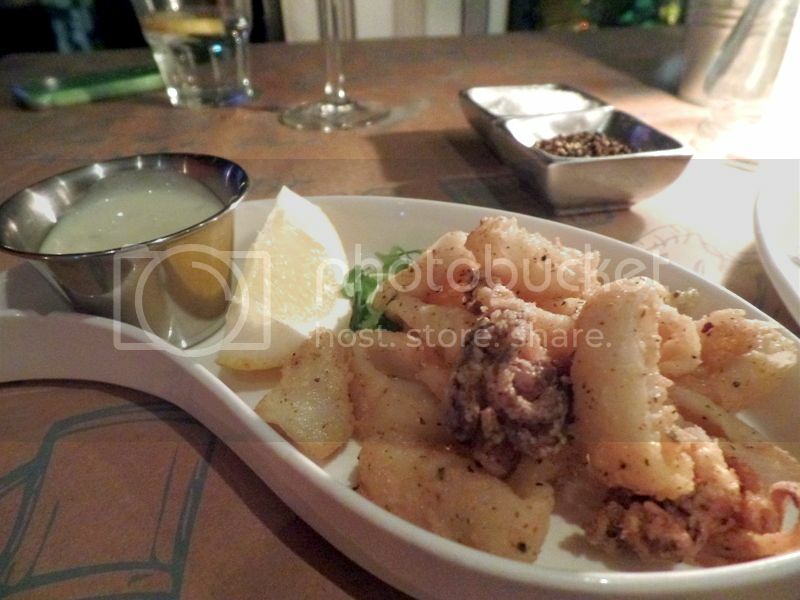 We opted to try two starters to share, one of them being the crispy salt and sheshuan pepper squids served with aioli. This was really delicious, crispy and light. 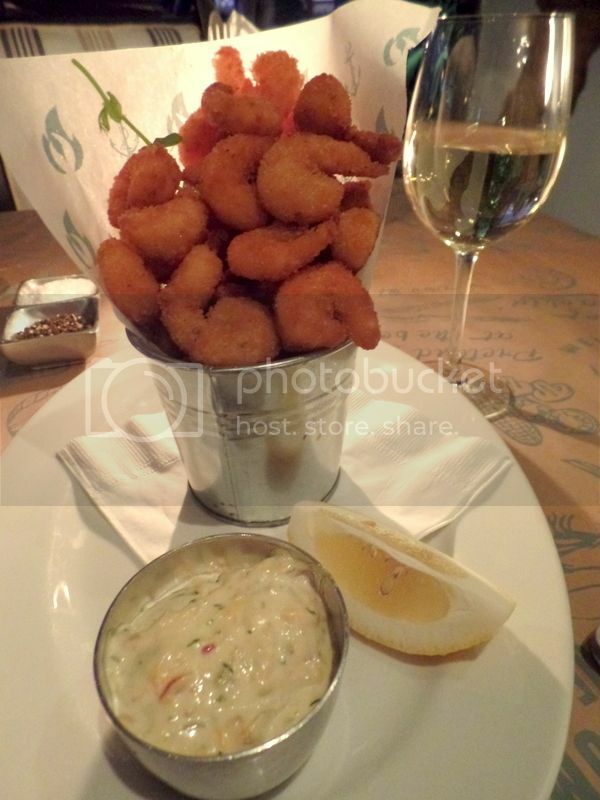 We were liberal with the lemon juice squeeze and loved the crunchy tentacles dipped in the rich aioli! This was a clear winner of the two fantastic starters! This is their famous shrimp popcorn with tartare sauce. It’s the medium portion at 300g but it was huge and more than enough for two of us! We could have opted for 150g as a shared starter. These shrimp popcorns are juicey little prawns in the most fantastic crispy crunchy batter! When I’m hanging out on the couch on Sunday feeling a little sorry for myself this is one of the regular Sunday Blues cravings we bring up! These guys and toasted cheese – so we are talking delicious comfort food here! I would say that a visit to the Crabshack without some shrimp popcorn would be a serious tragedy! We ordered main course dishes on the more affordable side which pretty much excluded the buckets with many fantastic things! However, this seared tuna burger with chilli, avocado and sour cream in a soft bun was a serious winner! And it even came with a side dish of your choice! We opted for these giant crispy onion rings! 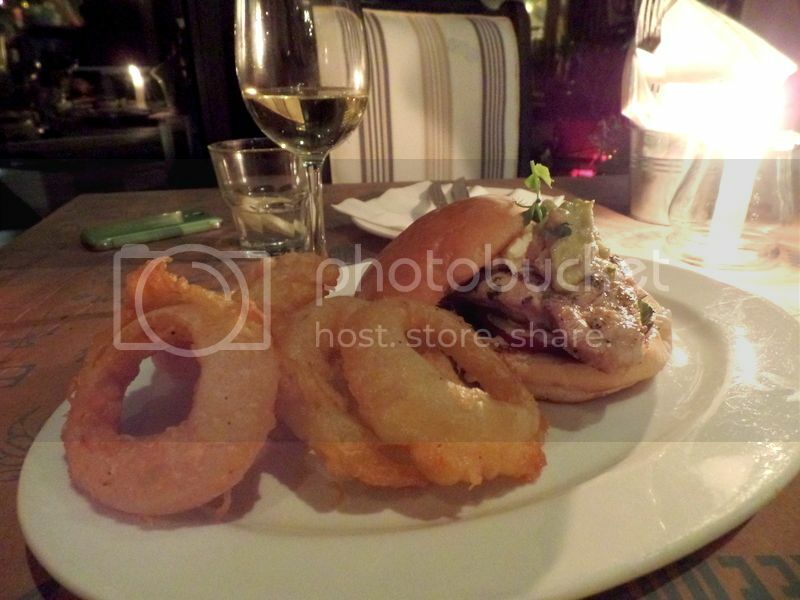 These onion rings are really amazing and were another highlight of our dinner! Make sure to get your hands on these onion rings when you visit! The seared tuna burger was a perfect medium rare! I loved the tuna served with avocado and sour cream- all delicious flavours! Considering we were at the Crabshack we still wanted to try some of their crab! We ordered the cajun spiced crusted soft shell crab with bacon, aoili, tomatoes and lettuce on a soft bun and served with fries. I have since ordered this bun again and have opted to swap the fries for onion rings. The onion rings are considerably better than the chips! The soft shell crab has lovely crispy legs, soft sweet flesh and was really fantastic! 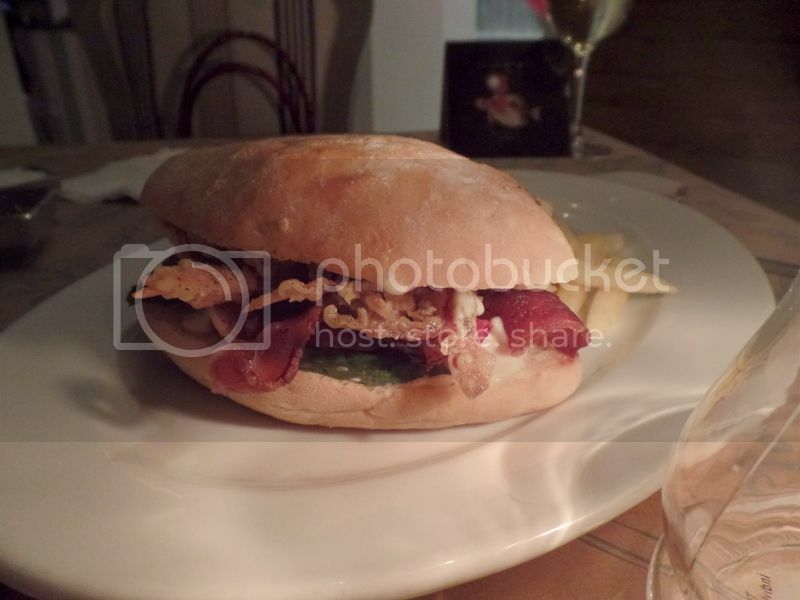 I loved the sweet crab served with the crispy sweet bacon and all pulled together with the aoili! This was a winning combination and I would definitely recommend this dish to anyone wanting to try crab for the first time but to scared to order an entire bucket of it!! Crabshack is a whole lot of fun! The menu is delicious, it is something a little different to the norm and they serve giant buckets of shrimp popcorn! You can’t go wrong- just make sure to skip the live music night! !